The iMac Pro $5,000 price tag has been mocked, with most at the complaints at the time of the debut of the machine unaware of, or under-valuing "server-grade" components. Most of the complaints ignore the target market —take a quick look at the iMac Pro's product page and you'll see examples of particle simulation, 3D modeling, animation, motion graphics, rendering, video and photo editing, machine learning, and more. Facebook and email are notably absent. The iMac Pro isn't intended for everybody, and it's easy to forget what it comes with, so let's take a look at the numbers first. 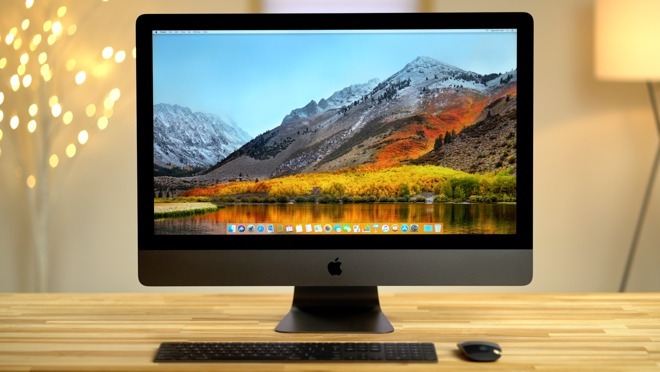 The base iMac Pro comes with all of the fundamentals —an eight-core Xeon processor, Vega graphics, 32GB of error-correcting RAM, 1TB of PCI-E based flash storage, and all of the connectivity options you'll ever need including four Thunderbolt 3 ports and 10-gigabit Ethernet. This is all tied to a color-accurate 5K display —but not a HDR one, and more on that in a while. At this point, more than a year after release, it's possible to build a PC that can match the iMac Pro performance for less than $5,000 with similar but not identical components, especially if you opt out of having a 5K display. This invariably also leads to some cut corners by the builder, delivering slightly less than the iMac Pro has, because in the opinion of the builder the sacrifice is worth it based on a metric of their own. Being able to do this isn't a bad thing, of course, but it neglects the fact that it won't run macOS legally and without compromise. Besides, many professionals and the vast majority of enterprises that need a high-end machine would rather invest that time elsewhere, in more profitable places than dumping time into to researching, constructing, and setting up that machine, to say nothing of supporting it. One of the standout features of the iMac Pro is a cooling system that allows it to stay whisper-quiet when the 5K iMac's fans would start ramping up. We've been using a iMac 5K to develop a good portion of our videos, and it constantly ramps up and gets quite loud while exporting 4K videos. The iMac Pro, on the other hand, stays silent even under heavy use. How much this matters to you, is left as an exercise for the reader. Apple uses the fastest storage available, and the iMac Pro is the only Mac that packs two of them in a RAID configuration using the new T2 Chip, leading to incredibly quick storage speeds. We initially measured a write speed of 3,058 MB/s, and 2,485 MB/s for reading data, and this has come up a bit since launch. The iMac Pro is also the first Mac to feature a 1080p FaceTime camera. Alongside the white balance and tone mapping improvements that came alongside the T2 chip, it looks dramatically better compared to the one used in the 5K iMac. When we first got our hands on the iMac Pro, we tested various professional apps and compared it to the top-of-the-line 5K iMac, priced at $3,299. 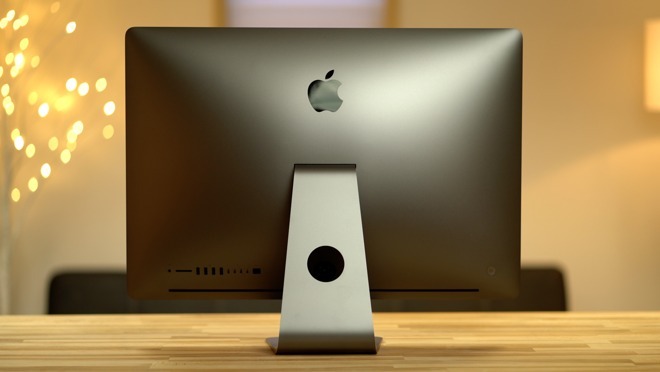 The general consensus at the time was that the iMac Pro shined in very high-demanding tasks like video editing of RAW footage and 3D animation. The 5K iMac was faster in a few of our tests because of QuickSync, which uses a processor's integrated graphics to help speed up export times. Unfortunately, like all workstations with a similar generation of Xeon, the iMac Pro's Xeon processors don't ship with integrated Intel graphics, so it can't make use of QuickSync. 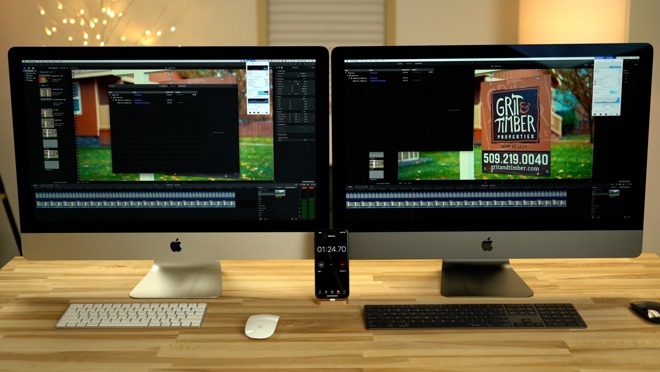 However, professional software like Final Cut Pro X is now better optimized to take advantage of the high-end hardware in the iMac Pro, so we re-ran a few of our tests to see if there are any improvements. Initially, stabilizing a 20-second 4K clip, the 5K iMac initially finished in just 7.5 seconds compared to 13 seconds on the iMac Pro. That was because the iMac 5K graphics was at 100-percent utilization compared to only 40 percent on the Pro. One year later, the iMac Pro finished the same test in just 6.5 seconds, now utilizing about 70 percent of the graphics and cutting the time in half. Exporting a 5-minute 4K h.264 project with effects was around 25 percent faster on the 5K iMac. A recent re-run has the iMac Pro beating the standard iMac by about 6 percent taking 3 minutes and 3 seconds compared to 4 minutes and 2 seconds one year ago. When it came to RAW video editing, the iMac Pro blew the 5K iMac out of the water last year. 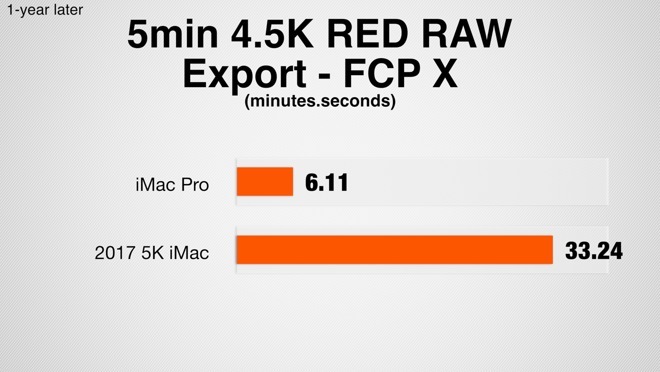 Exporting a 5 minute 4.5K RED RAW project took only 6 minutes and 12 seconds on the Pro, compared to a whopping 33 minutes and 24 seconds on the 5K iMac. After a year, the iMac Pro has the same exact performance, 6 minutes and 11 seconds, which makes sense since at launch it was already running all 8 cores at maximum capacity. 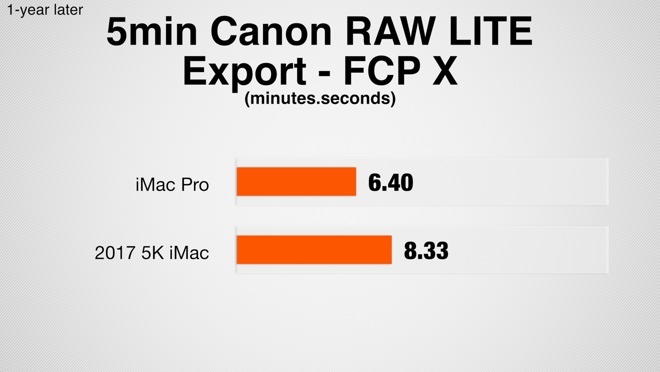 Canon Cinema RAW lite is a tough codec to work with, but it is clearly well-optimized for Apple's Metal API. A 5-minute cinema 4K 60P project used to be 12 percent faster with the iMac Pro compared to the regular 5K iMac. Now its 30 percent faster, improving 13 percent since last year, taking 6 minutes 40 seconds instead of 7 minutes and 38 seconds. In those tests, software optimization has really brought the iMac Pro to the next level, widening the gap between it and the 5K iMac, and making the Pro even more valuable than it was when it was first released. If you're someone who needs a powerful Mac for video and you can afford the iMac Pro, we highly recommend it. Everyone we know who purchased one has been very happy with their decision, and we think you will too. If you don't really need all of the extra performance the 8-core processor and Vega graphics offer for things like RAW video editing and 3D animation, the 5K iMac will probably get the job done. However, it's missing a few key things that some professionals need that come standard on the iMac Pro, specifically four Thunderbolt 3 ports and 10 gigabit Ethernet. Some professionals spent the extra cash over the 5K iMac for those reasons alone. 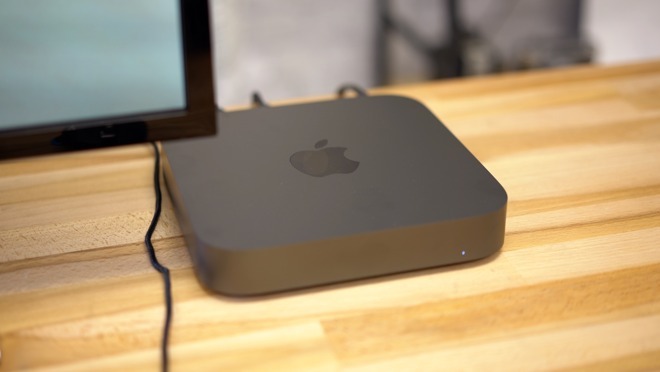 Apple is now offering the updated 2018 Mac mini, which ships with four Thunderbolt 3 ports, and users can opt for 10 gigabit Ethernet for only $99 more. It's definitely not as powerful since it lacks a discrete GPU, amongst a host of other features that the iMac Pro has. But if you really want those extra ports and you're doing work that's not graphics intensive, like photo editing, for example, the Mac mini should do the job for a heck of a lot less cash assuming you're patient. This is especially true if you already own an external monitor. However, if you end up trying to replicate the experience by maxing out the Mac mini's specs, adding an LG 5K monitor and then a Blackmagic Pro graphics which uses similar Vega 56 graphics, you get far, far too close to the iMac Pro retail, and you should just go for that instead. Because, if you go that beefy Mac mini route, you'll end up with a much slower processor, slower graphics due to native PCI-E bus GPU speeds compared to what is effectively a x4 PCI-E bus with Thunderbolt 3, a $347 higher price tag, and on top of all that, the Mac mini is still not packing workstation hardware like the iMac Pro ECC RAM and Xeon CPU. All told, you'd get a less coherent experience compared to an all-in-one. No, the iMac Pro isn't readily upgradeable despite having slotted RAM and a socketed processor entombed behind a glued-on screen. For the vast majority of potential buyers, this isn't a deal-breaker, but we might understand where it may be for any individual buyer. As we've kept saying, Apple's "Pro" designation is nothing more than a marketing term. There is no one true vanguard Pro, compelling all others to genuflect before that definition. All this said, if we would have to complain about one thing concerning the iMac Pro, it would have to be the lack of an HDR display. Final Cut Pro X has supported HDR video since before the iMac Pro was released, but the iMac Pro somehow doesn't. To edit HDR video, Apple recommends buying an external reference HDR monitor, which isn't something many people would want to do, especially if they're already paying $5,000. We expect future iMac Pros and maybe even high-end iMacs at some point to come with HDR displays, but we have no idea when. Let's be honest with each other —if you're patient, any computing job can be completed by anything you can buy today. Looking at any two computers, one will complete a task in X tine and the other in Y. The gap between X and Y might be a small multiple, it might be a big one. Where the difference lies, is if the price that you pay to deliver tasks more rapidly will save the user enough money or generate enough income because over the course of a year you can get more done, to make the expenditure worth it. The iMac Pro isn't cheap, but it also isn't intended for the Facebook and email-only crowd and is ridiculous overkill for that. But, over a year, those minutes and seconds do add up to somebody charging for time or for an employer who's tired of complaints that "the compile is taking forever." And, depending on what you do for a living, that can add up to a lot of billable hours, making the iMac Pro worth every penny. Apple authorized reseller Adorama is knocking $225 to $500 off every iMac Pro model, with prices starting at $4,774. The $225 discount on the standard model comes in the form of an instant rebate, while every upgraded configuration is eligible for $350 to $500 in coupon savings with code APINSIDER. Plus, Adorama will not collect sales tax on orders shipped outside New York and New Jersey, potentially saving many shoppers anywhere from $625 up to $1,555 compared to buying from Apple. Need help redeeming the coupon? Send us a note at [email protected] and we will do our best to assist.